EBSTEVE wrote: I'm not sure if your taking about my Bronco but I don't wheel it allot anymore except the snow. It's been through the Rubicon a few times, and allot of the local stuff here but with the politics involved in land use stuff combined with trails becoming groomed and over crowded I find I would rather go hiking or out on my Harley. I haven't done much off season four wheeling for various reasons. Steve and I used to hit it pretty hard back in the day, then when four wheeling got popular things around here started getting screwed up. My Bronco still needs a full cage and rockers, so I try not to take it places it'll get trashed. I would like to get out a little more though. We were just talking about doing some longer trips again someday. Haha no... that was my point exactly, i thought it looked pretty good!! for comparison, at what elevation are you guys typically snow wheeling? we get dumps pretty often at "city level" but It gets packed down fast on the main routes. I'm looking on google earth for places near me that may have side roads less traveled with higher elevations. wish my rig was done. havent had time to work on it lately. mountains are about 30-45 minutes to the rolling foot hills, and after that there's usually road closures for avalanches with the big snow falls further into the mountains. The majority of our roads top out below 4500', and a few that go a little higher. I like to see 1-2 feet of new snow at 2000' or lower. That usually ensures a good day! I've gotten to be a snow snob over the years, and generally wait for good snow. Then I drop everything and go. ok thats a good tip thanks. I'm going to check out Mt. Baldy area this weekend and see what i can find. take my new snow shoes along too!! elevation there is about 1800m-2000m so pretty decent. I also spotted a road on Google maps that goes to the top peak and comes back down. I will report back what i find. Fubar wrote: ok thats a good tip thanks. That looks like some beautiful country. I look forward to seeing some trip reports! Fubar wrote: that bronco is sweet. do you ever drive it in the rock/mud in summer or just snow? That's true. 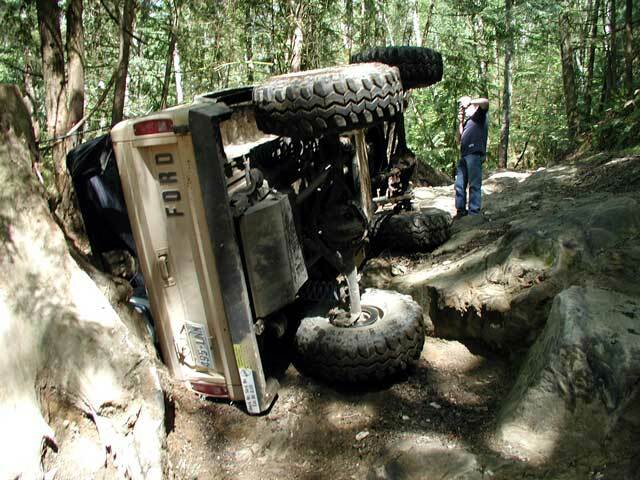 Hikes and rides happen much more often and it is generally not a nice idea to put everything on fourwheeling which sometimes happens too rarely, especially at summer. I myself use bicycle alot, and in summer I like water crossings, same on the bike. It is scrambler and looks nice on the streets as well, I some times ride it somewhere, but on any occasion I go to routes and such. I do not really like destroying earth with aggressive tyres, ad accelerating and digging soil relying on quite robust axles looks stupid to me. And some part of the question is transporting something, some used snowmobiles to move the parts and even body of small SUV in winter between towns avoiding hiring of the proper truck. I am using sleds drafted with me myself very often to move something to garage. Last edited by funride on Fri Jan 30, 2015 4:58 am, edited 2 times in total. Nobody, Are those pictures from that Ipad app you were talking about? ( i thought you mentioned it anyway) seems to have much better detail then google. Fubar wrote: Nobody, Are those pictures from that Ipad app you were talking about? ( i thought you mentioned it anyway) seems to have much better detail then google.